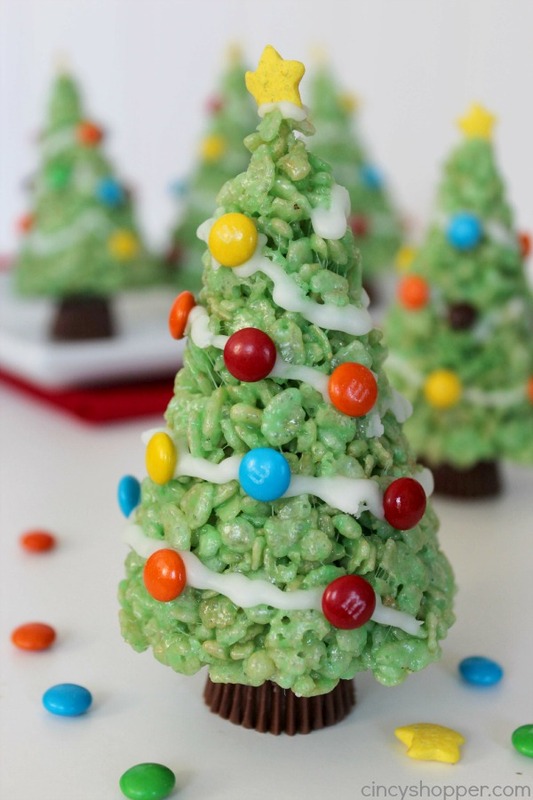 These super fun and super easy Krispie Treat Christmas Trees make for the perfect treat. 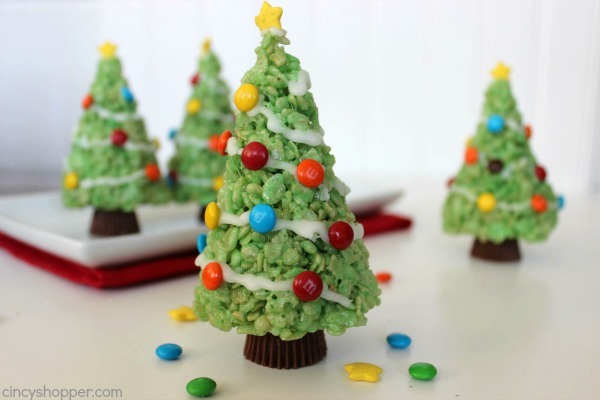 Krispie treats are so tasty and make for a cute classroom, office, or holiday party treat. 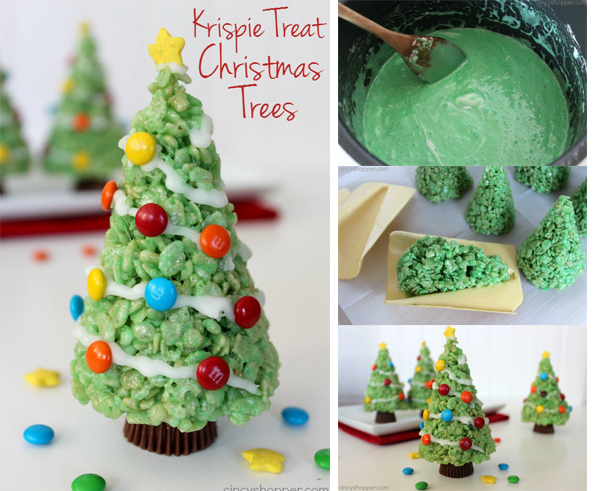 If you follow my blog much, you are aware that my entire family adores Krispie Treats. I make plain Krispie treats what seems like constantly for school lunches. At Halloween, we make Pumpkin Krispie Treats. 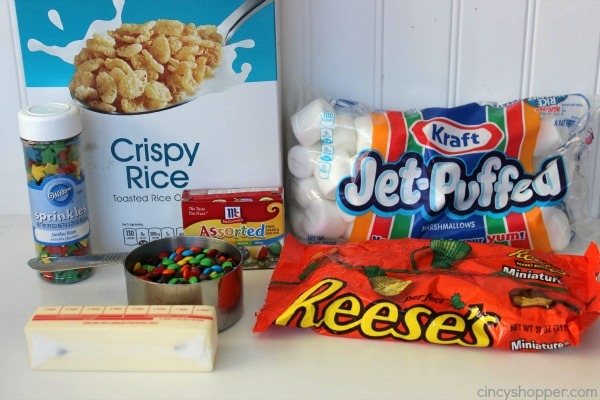 During Easter, we make Krispie Treat Bunnies and Krispie Treat Carrots. 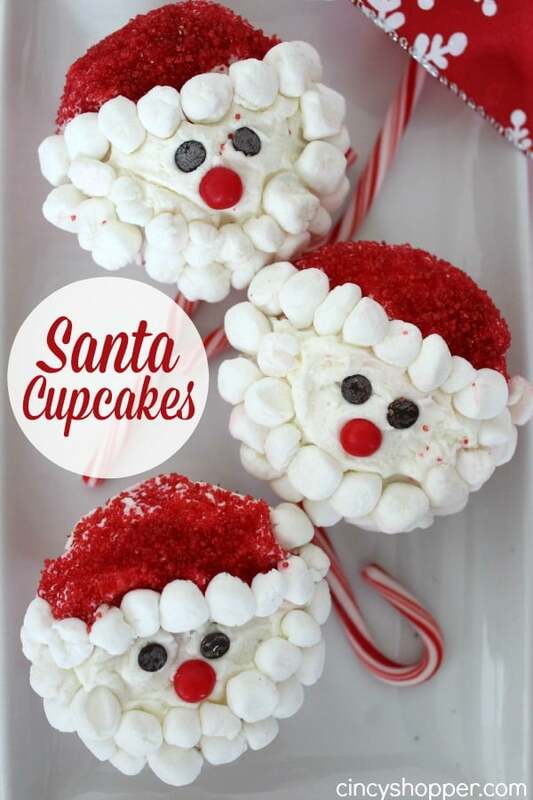 At Christmas, we have made Krispie Treat Wreaths and then last year, we made these super adorable Krispie Treat Christmas Treats. 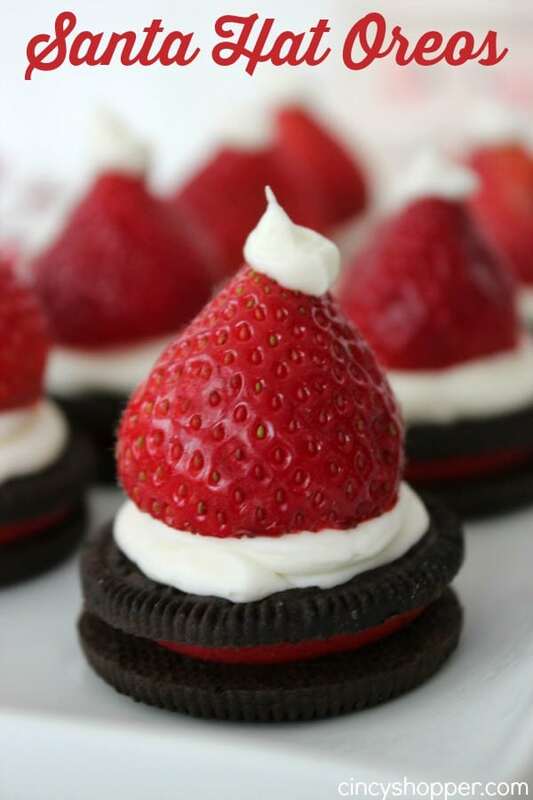 We served them up on the kiddos dessert table at one of our Christmas parties. Of course everyone was requesting the how to on them. Our trees were so adorable and such a hit, we plan to make them again this year. To make your own Krispie Treat Christmas Trees, you will need Rice Krispie Cereal, marshmallows, butter, some Reese’s Miniatures (for the trunks), and some candies for decorating. 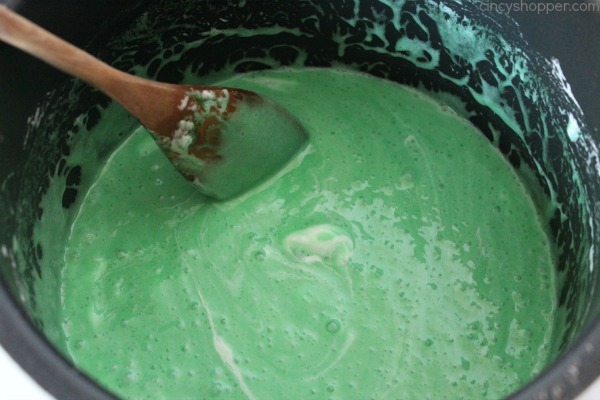 If you would like “garland” strings, you will need standard ingredients for icing. 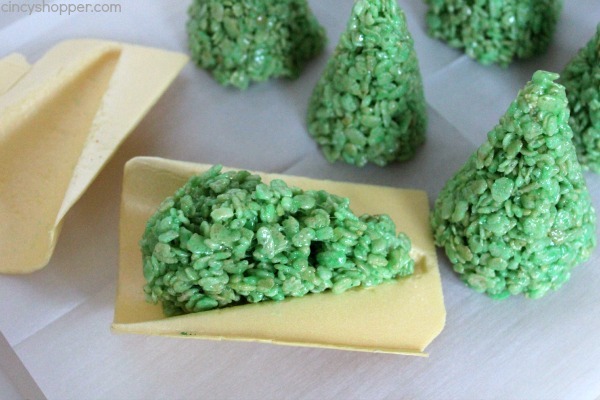 To achieve a tree shape, you can form them by hand but I know that could be difficult because the krispie treat sets up quite quickly. I used a foam insert that is included with our ice cream sugar cones. it was PERFECT for achieving a Christmas Tree shape. Butter a your hands and form mixture into cone shapes or place into the foam insert to shape. 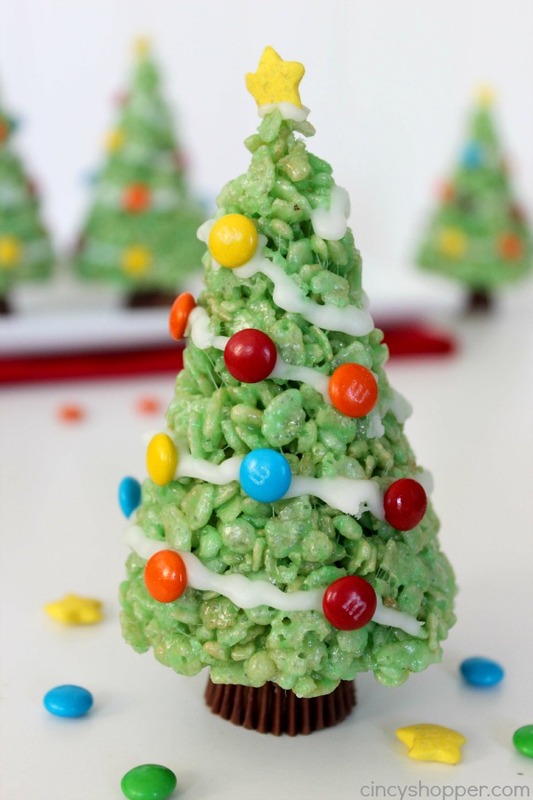 Do you have a favorite holiday Krispie Treat? 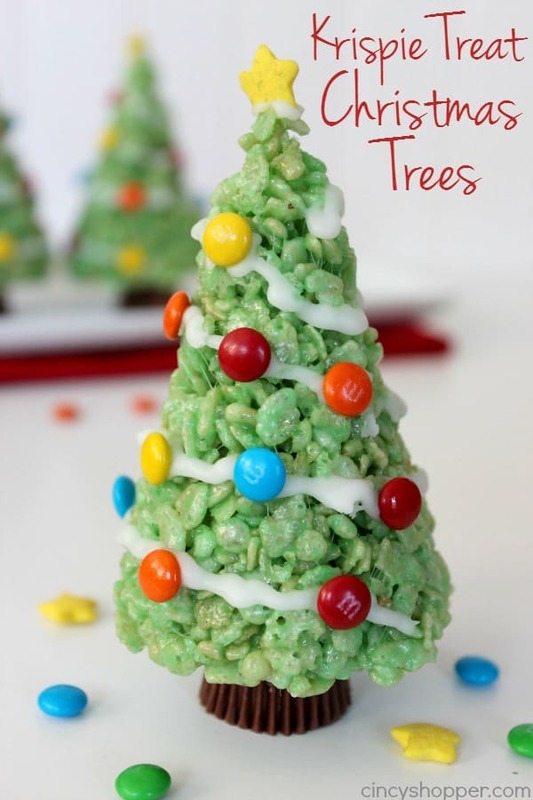 These trees are perfect for allowing the kiddos to decorate. 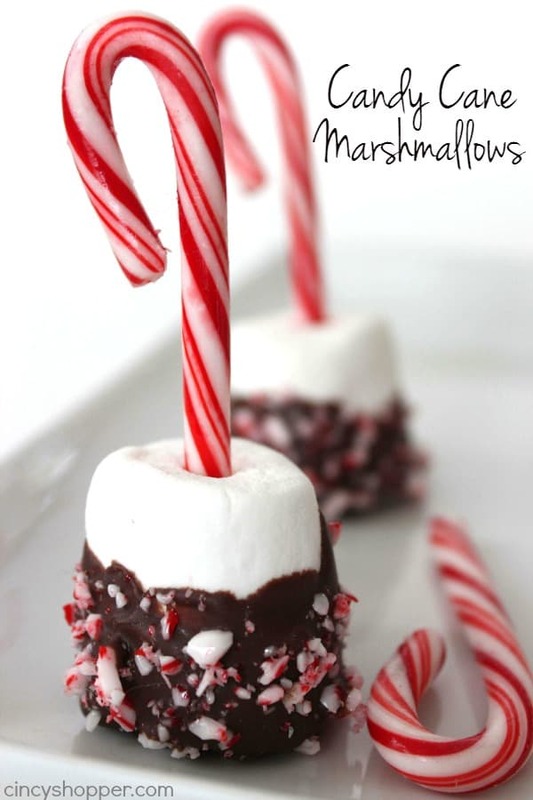 Plus… they are super tasty.